Well-known medical cannabis researcher Decha Siripat has insisted that he has a moral obligation to distribute cannabis oil to patients for treatment of some illnesses. 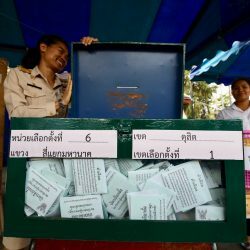 The president of the Khao Kwan foundation, a privately-run organization known for its promotion of grass-root agricultural sustainability, said he will report to the authorities tomorrow to answer charges of illegal possession of marijuana plants and extracts pressed against him by the Office of the Narcotics Control Board (ONCB). 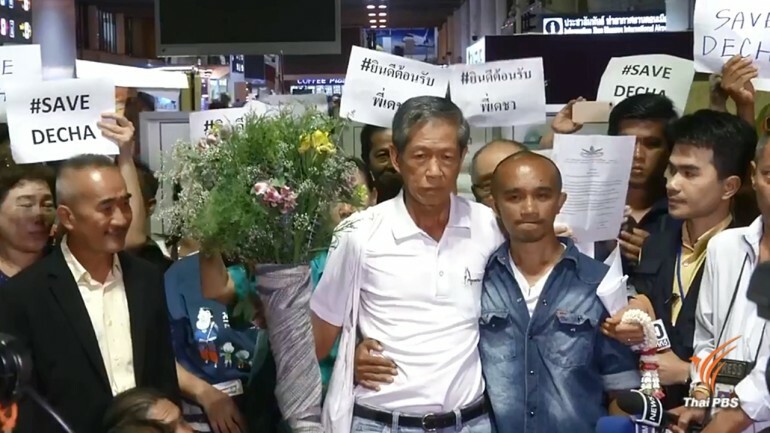 He was speaking to an army of reporters after arriving at Don Muang Airport from Lao PDR this morning to a warm welcome from members of non-governmental organizations, including Biothai, Foundation for Consumers and Alternative Agriculture Network. In a written statement today, Decha insisted that the distribution of cannabis oil by the foundation, to patients suffering from Parkinson’s disease, arthritis, seizure disorders and other ailments, is a moral obligation and that it is the basic right of patients to have access to treatment. 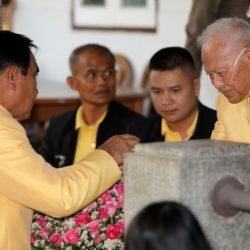 Decha, who was in the Lao PDR on a study tour, disclosed that he had assigned a foundation staff member to apply for amnesty, as permissible by law, for the possession of marijuana plants and extracts, but the application was pre-empted by last week’s raid on the foundation by Suphan Buri police and ONCB officials. He added that health officials had rejected the foundation’s application for an amnesty. Decha further insisted that every traditional medical doctor should be given permission to develop medicines from cannabis for medical purposes. Meanwhile, the Food and Drug Administration’s Office said it had nothing to do with the police raid. FDA deputy secretary-general Supatra Boonserm said that the amnesty law covers only possession of cannabis and its extracts and it does not cover the distribution of cannabis or extracts such as cannabis oil. However, she added that the law is still open to interpretation. She also denied the allegations that the Public Health Ministry and the FDA appear to be favouring pharmaceutical companies in researching and commercializing medical marijuana.